最完美的结局，没想到自己会暴哭。。。the hidden world 视觉效果是近年来国内外动画最好的设计。爱你即是放你自由，即使分别，心也依然在一起。Farewell my friends, may the tale never ends. It's so hard to say goodbye to you all and not to get emotional about this farewell even before the year has properly started. 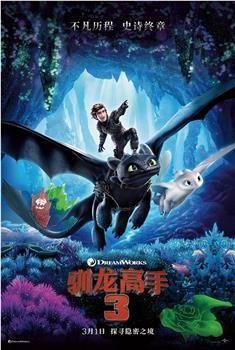 I'd be proud to say that HTTYD is no doubt my favorite animated series that have companied me in my most confused years; I will remember how stunned I was when I saw you guys find each other, and how crazy I was to watch the sequel five times in a row in front of silver screens with 3D glasses on; and how I needed to rush out before the credits ran through today coz the flashbacks would seriously turn on my waterworks. Thank you, and I'll miss you so much.